Astronomers have discovered a star orbiting a black hole at a distance of about 2.5 times that of the distance between Earth and the Moon completing an orbit in approximately half an hour around the black hole. To give a perspective of how fast that is consider the moon which takes about 28 days to orbit our planet at speeds of 3,683 kilometers per hour, indicating that the star must be traveling at an immense speed. The star was discovered by analyzing data from an array of deep space telescopes. The X-rays were gathered from a star system named 47 Tuc X9 which is about 15,000 light years away. 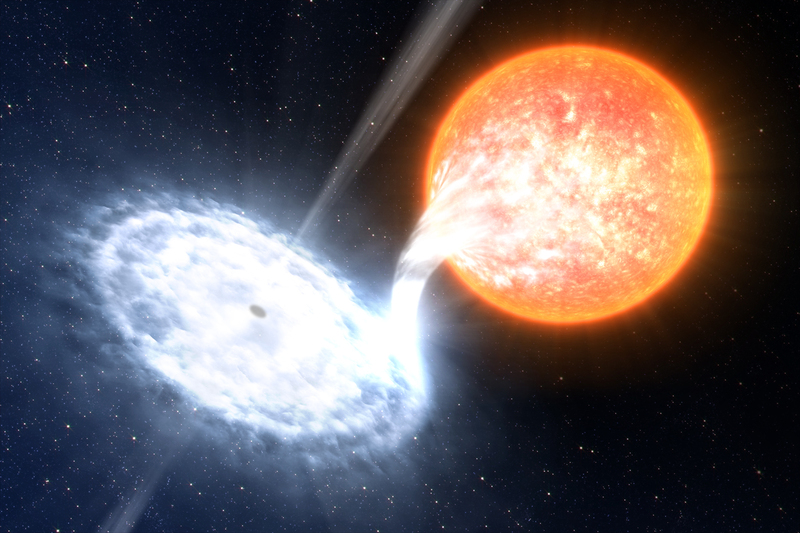 What was seen in the X-rays was thought to be a binary star system. A binary star system consists of two stars orbiting around a common barycenter. Up till now, it was thought that the binary system consisted of a white dwarf and another star. Researcher Arash Bahramian states, “For a long time, it was thought that X9 is made up of a white dwarf pulling matter from a low mass Sun-like star”. White dwarfs are small but extremely dense objects; a white dwarf is formed when a low-mass star has exhausted all its central nuclear fuel and lost its outer layers as a planetary nebula. Such a type of system which consists of a white dwarf pulling matter from another star is called cataclysmic variable star. In 2015 what was thought to be a white dwarf stripping star stuff turned out to be a black hole which resulted in the ending of the above said hypothesis. The data from Chandra X-ray Observatory which is an orbiting observatory giving X-ray view of the universe showed that large amounts of oxygen in the pair’s vicinity which usually indicates the presence of white dwarf stars. Researcher James Miller-Jones at the International Centre for Radio Astronomy Research states, “We think the star may have been losing gas to the black hole for tens of millions of years and by now has now lost the majority of its mass”. The Data from Chandra Observatory shows regular changes X-ray intensity which upon analysis shows that it takes the binary system approximately half an hour to complete an orbit around the black hole. This makes the binary system the closest star/star system to a black hole. “Prior to this discovery, the closest star around any likely black hole was a system known as MAXI J1659-152, which is in an orbit with a 2.4-hour period,” said Miller-Jones. Looking into the system it doesn’t seem that the binary system will collapse into the black hole just yet. Since white dwarves themselves are very dense, for the black hole to overpower the white dwarf star’s density they both have to be fairly close together. As time passes the white dwarf will lose its material and slip a little further back. 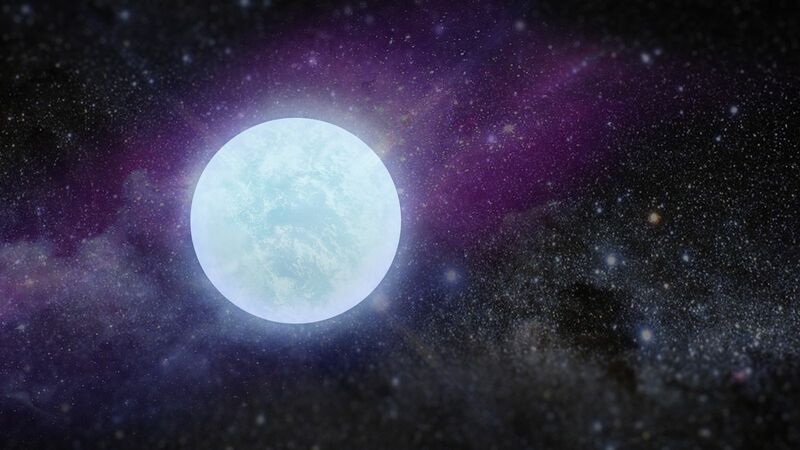 “If it keeps losing mass, the white dwarf may completely evaporate”, says researcher Craig Heinke. This binary system near a black hole will provide future scientists to study gravitational waves of such systems. Currently the Laser Interferometer Gravitational-Wave Observatory isn’t capable of detecting lower frequency waves emitted by the X9 system. Hopefully as techniques advance in this field, researchers will be able to observe these low frequency gravitational waves and further explain the origins of our universe. Stephen Hawking: A Planetary Disaster on Earth is Inevitable!